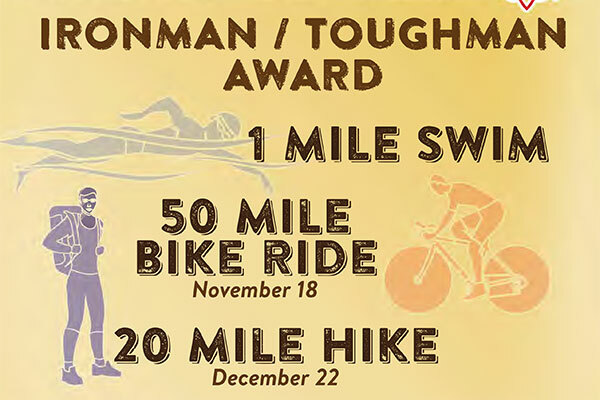 Do you have what it takes to be called an ironman or toughman? All you have to do is complete a 20-mile hike, 50-mile bike ride and one-mile swim. Any Scout that does all three events in one year is an Ironman. Any Scout that does any two events in one year is a Toughman. Patches will be presented at the 2019 Camporee. Contact Bill Cather at billcather@bellsouth.net for more information.